Jenny Slate (Obvious Child) is set to star in and produce The Sunlit Night for director David Wnendt (Look Who’s Back). 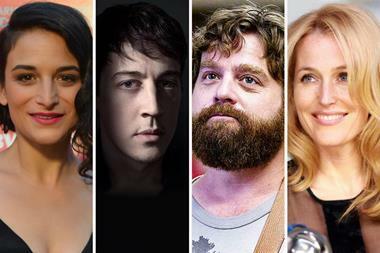 Also cast are Tony award-winning actor Alex Sharp (The Curious Incident Of The Dog In The Night-Time), Gillian Anderson (The X-Files), Zach Galifianakis (The Hangover) and Jessica Hecht (Breaking Bad). Mister Smith Entertainment is launching sales on the project in Cannes. The Sunlit Night is adapted from Rebecca Dinerstein’s novel of the same name. The film is a German-Norwegian co-production between DETAiLFILM in Germany and Ape&Bjørn in Norway, where filming will take place this summer. Producers alongside Slate are Fabian Gasmia (Personal Shopper), Ruben Thorkildsen, with Michael B. Clark and Alex Turtletaub (The Miseducation Of Cameron Post) from the US. Set between New York City and Norway, the film follows American painter Frances (Slate) and émigré Yasha (Sharp), an unlikely pair who find each other in the Arctic circle. Frances has arrived to jumpstart her career while Yasha has come to bury his father in the land of the Vikings.